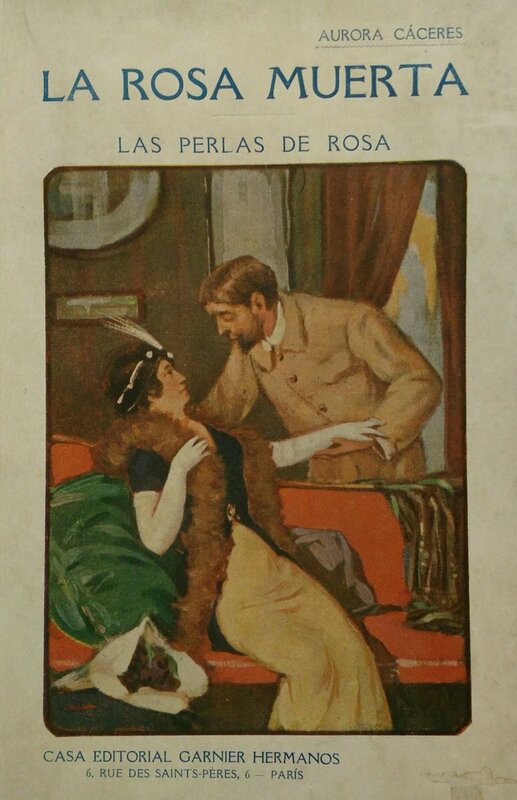 In the Spanish literary world, the word "modernista" does not correspond to what English speakers call modernism, but refers to a late-nineteenth century vogue for vaguely Symbolist, slightly Decadent poetry and occasionally fiction which originated in the Latin American upper classes. Aurora Cáceres was the daughter of a Peruvian president who spent much of her life in Europe, like her sometime husband, Guatemalan man of letters and exemplary modernista Enrique Gómez Carrillo. An unusual exception among the male modernista generation, she was only immune from their otherwise-universal contempt for female writers because she was beautiful. La Rosa Muerta (The Dead Rose) is her only novel, a snappy 70 pages of languorous, image-perfumed prose and soft-focus idealism. The refulgent atmosphere (a relic of the period) aside, it's a pretty good story (I could imagine a great arthouse film being made from it), setting up oppositions between East and West, science and passion, love and death, and letting them play out in the body of an young but ailing Spanish widow who falls in love with her Turkish gynecologist. This is the second of the 1910s novels I'm reading which I read only in Spanish, since an English translation doesn't exist; and rather than putting the book down every time I encounter a word I don't know (pretty frequently with self-consciously poetic modernista texts), I've been reading like I did as a child, enlarging my vocabulary via context and repetition. So I know I missed a bunch of fine grain even when I got the gist; but I won't worry about it. There's lots of open space between being unable to read a language and doing a line-by-line translation, and I'm trying to live in that space.